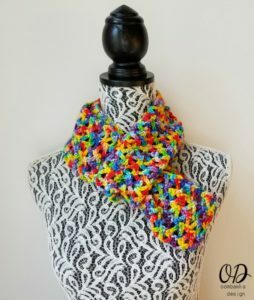 Welcome to the October Scarf of the Month Club Free Pattern! 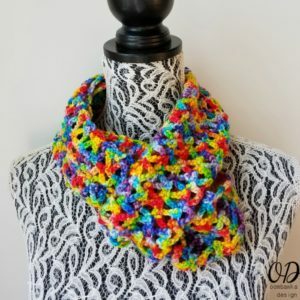 This month you can make this lovely lightweight infinity scarf with 1 skein of DK weight yarn and a 4.0 mm hook or make a slightly heavier (and warmer) scarf with 1 ball of light worsted weight yarn (like Red Heart Soft or Caron Simply Soft) and a 5.50 mm hook. 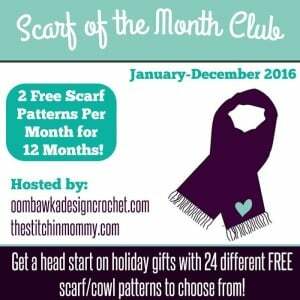 This is just one of the Scarf of the Month Club Free Patterns for the month of October 2016! 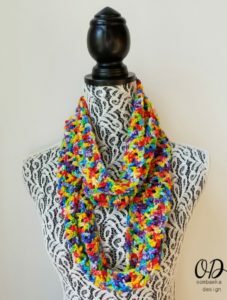 For the links to the other two free crochet scarf patterns please scroll down to the very end of this post! 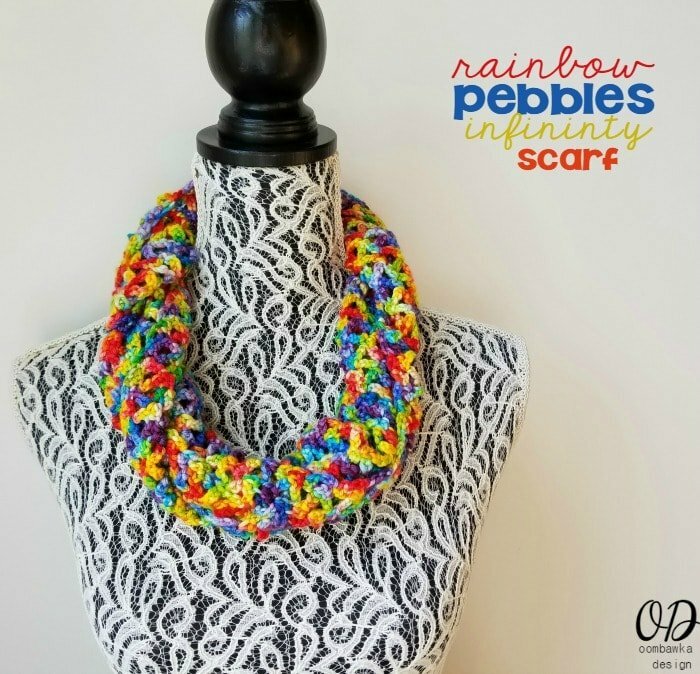 Yarn: Rainbow Love Yarn – Expression Fiber Arts. Superwash Dewy DK (70% Superwash Merino Wool, 20% Nylon, 10% Silk). 250 yd/118 g. Hand or Machine-Wash.
R3-R150: Rep R2, finish off with a long tail. 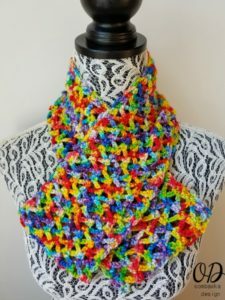 You will use this tail to whip-stitch the two ends together to form an infinity scarf. 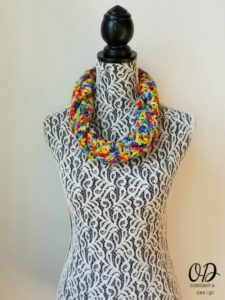 Whip-stitch the ends of R1 and R150 together to form an infinity scarf. Finish off and weave in any ends. 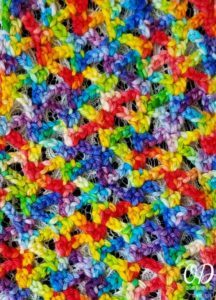 Remember you can join our Facebook Group, Crochet With Us CAL Group and share your progress, ask questions and get help! Thank you for the quick reply. I really wanted the Rainbow Love color, though. 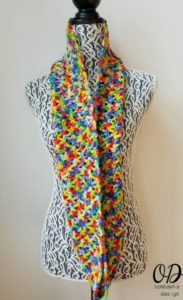 I just finished your Serendipity Scarf and it’s beautiful and so soft. 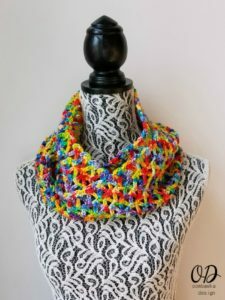 I had never used the Unforgettable yarn before. 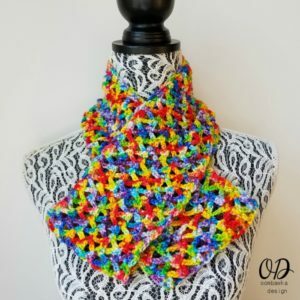 The 8 inch squares and the tutorials have really helped me get back into crocheting. I’m learning so much from your site. 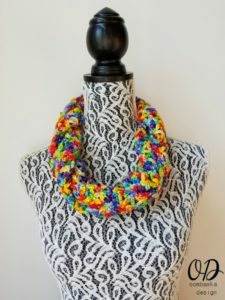 Do you know where this yarn can be purchased? My internet search has turned up nothing.